With a stay at Grand Hotel Savoia, you'll be centrally located in Cortina d'Ampezzo, within a 15-minute drive of Cortina d'Ampezzo Ski Resort and Parish Church of Cortina. This 5-star hotel is 9.3 mi (15 km) from Lake Misurina and 29.3 mi (47.2 km) from Lake Braies. Make yourself at home in one of the 74 individually decorated guestrooms, featuring minibars and flat-screen televisions. Complimentary wireless Internet access keeps you connected, and satellite programming is available for your entertainment. Private bathrooms with shower/tub combinations feature jetted bathtubs and complimentary toiletries. Conveniences include phones, as well as laptop-compatible safes and complimentary bottled water. Make yourself at home in one of the 122 guestrooms featuring minibars and flat-screen televisions. Complimentary wireless Internet access keeps you connected, and digital programming is available for your entertainment. Private bathrooms with shower/tub combinations feature deep soaking bathtubs and complimentary toiletries. Conveniences include a turndown service, and housekeeping is provided daily. Located in Cortina d'Ampezzo, Rosapetra Spa Resort is in the mountains, within a 10-minute drive of Lake Pianozes and Golf Club Cortina. 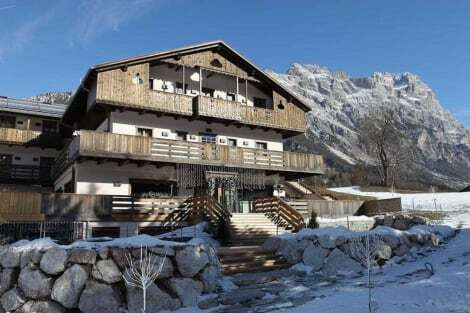 This 5-star hotel is 5.7 mi (9.2 km) from Cortina d'Ampezzo Ski Resort and 11 mi (17.7 km) from Lake Misurina.